It’s catch-up time for small photos and, in some instances, accompanying stories. 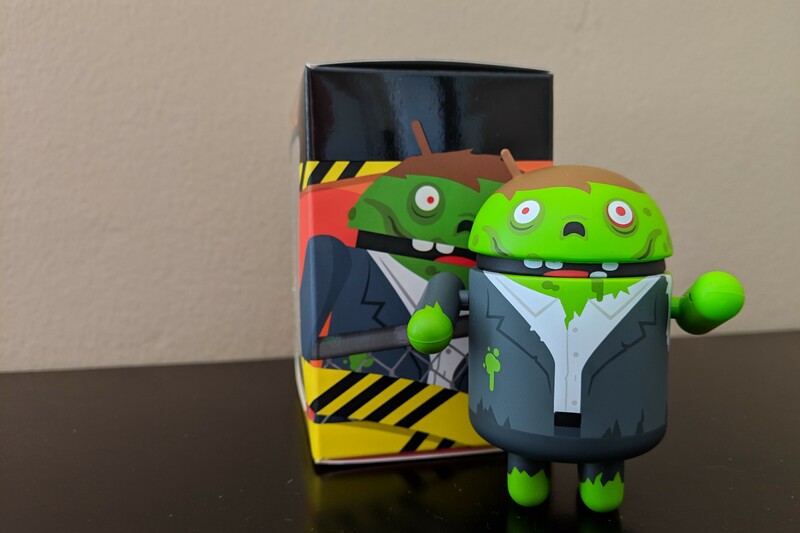 Many of them are weeks overdue, like arrival of Android Mini “Zombie Process“, a collectible released on Oct. 29, 2018 that I ordered for Halloween. Trick? Or treat? To first: He’s missing an antenna—by design, must be acknowledged. The other: Yes, yummy. I shot the Featured Image on Nov. 2, 2018, using Google Pixel 3 XL. Vitals: f/1.8, ISO 87, 1/24 sec, 4:44mm; 2:50 p.m. Image is cropped 3:2 but otherwise unaltered, and it is composed as shot. About an hour later, while walking, the phone slipped from my fingers and from pants pocket height fell face down onto the sidewalk. What a mess.